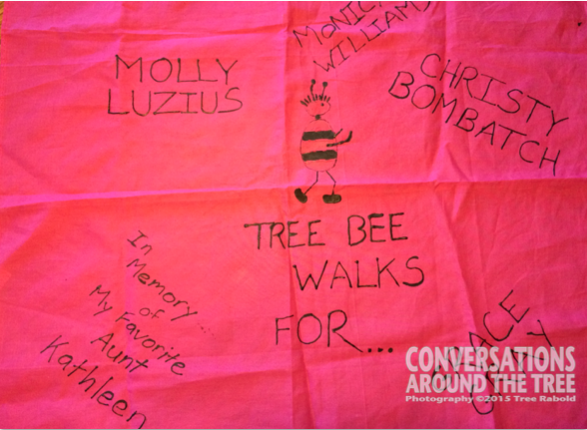 I walk in memory of my Aunt Kathleen. I walk to honor those that continue to fight. I’ve walked hundreds of miles….training. I walk to find a cure. I walk 60 miles in 3 days. Training will start next month. This will be my 4th year to participate in the Susan G. Komen 3 Day walk for breast cancer. Between May and November I will walk hundreds of miles with my teammates and friends. We will laugh, cry, doctor blisters, stretch sore muscles and buy new shoes. We each walk for a different reason. 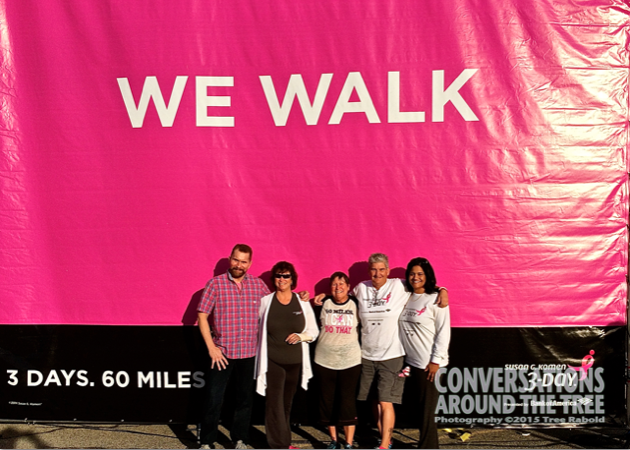 Some of us are survivors, some of us walk in memory of loved ones, some of us walk to honor people fighting breast cancer….all of us walk to raise money for a cure. It only takes 2 feet and the willingness to walk. 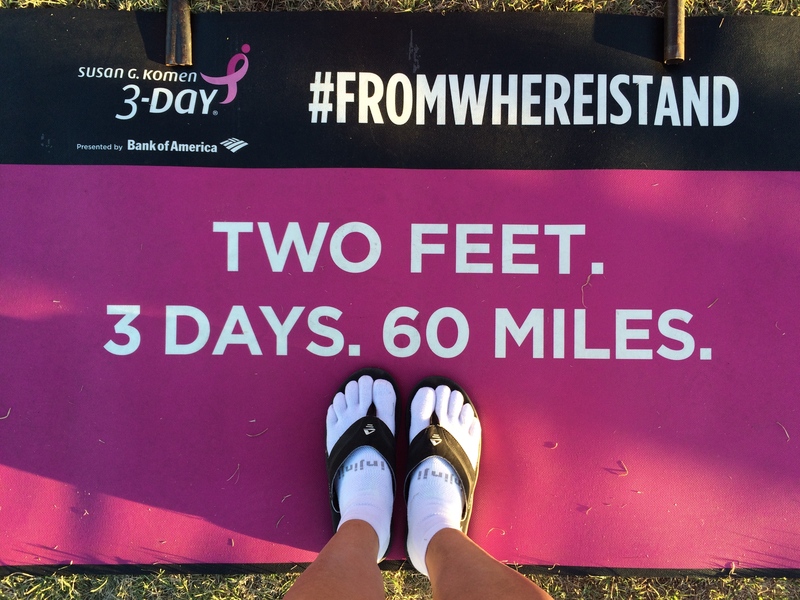 When my 2 feet join thousands of other feet…we walk and we make a difference! The A – Z Challenge will run through April. Each day is a different letter and a different photo…I hope you all enjoy! 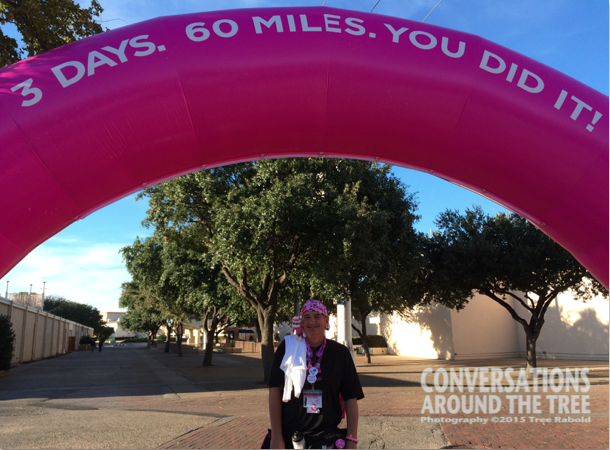 This entry was posted in Uncategorized and tagged A-ZChallenge, Breast cancer, Susan G Komen 3 Day, walk on April 28, 2015 by treerabold. Thanks Joanne! It’s all worth it. Wow – training starts already! Seems like you just walked this not that long ago. This is a pretty cool event – congrats on year 4 coming up! Are you fundraising? Typically we walk year around….but I’ve really gotten into biking so I need to get refocused on walking. Its amazing the beating one’s legs and feet take…must get them prepared! Let me know your website. Would love to donate! I appreciate your willingness to donate….you are awesome!! So sorry to hear about your sister-in-law. It is grueling. But fortunately much more survivable than it was in the past. 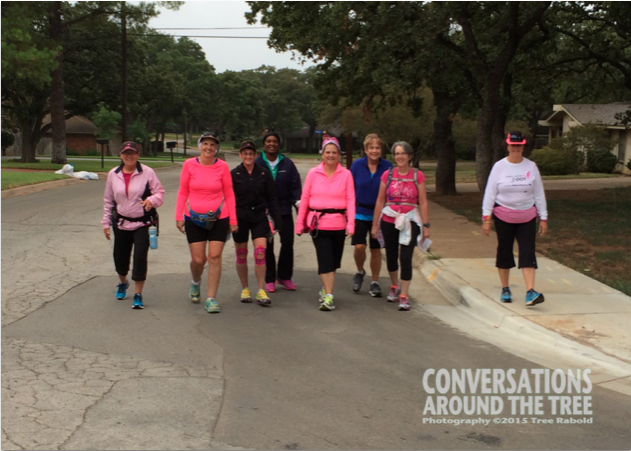 Hugs to all of you…and please let your sister-in-law know we are walking for her! If you share her name with me (just first name) I will share it with my fellow walkers and we will have her on our list of people we are walking for.